Ald. Ariel Reboyras, who’s represented the 30th Ward on the city’s Northwest Side since 2003, is facing his first runoff election. 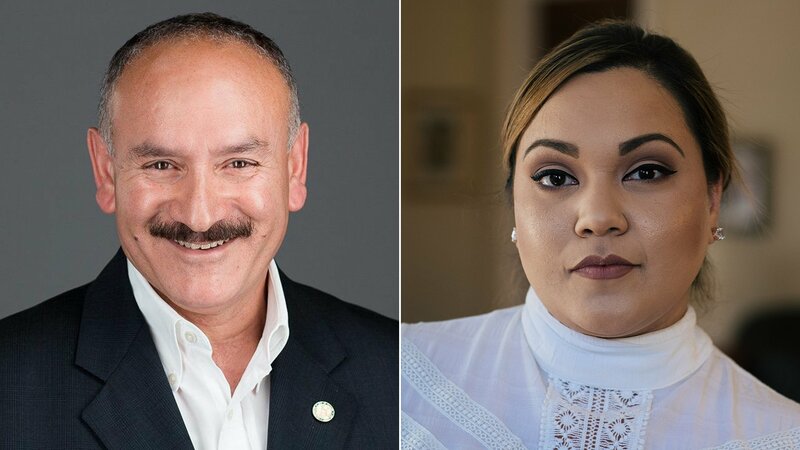 On April 2, voters will decide whether to retain the incumbent, or give that seat to Jessica Gutierrez, the 31-year-old daughter of former U.S. Rep. Luis Gutierrez. In the Feb. 26 election, the margin between the top two vote-getters in the 30th Ward was razor thin: Reboyras won 47.9 percent of the votes; Gutierrez trailed by 27 votes for a total of 47.54 percent. A third candidate, student Edgar “Edek” Esparza, won just 4.56 percent of the votes. Reboyras began his career as a Chicago Public Schools teacher at Roberto Clemente High School, then worked a variety of jobs for the city, including as a truck driver, water department equipment coordinator and deputy commissioner of the city’s Department of General Services. A longtime ally of outgoing Mayor Rahm Emanuel, Reboyras plays a major role in police reform and negotiations as chairman of City Council’s Public Safety Committee. Since he was first elected to City Hall 16 years ago, Reboyras has won every election by at least 70 percent of the vote. In 2015, he ran unopposed. Gutierrez is the daughter of former U.S. Rep. Luis Gutierrez, who represented Illinois’ 4th District in Congress from 1993 until January. After declaring he wouldn’t seek re-election, former Cook County Commissioner Jesus “Chuy” Garcia successfully won Gutierrez’s congressional seat. Jessica Gutierrez last worked as a field director on Garcia’s March primary campaign and Garcia has, in turn, campaigned for Gutierrez’s aldermanic run. A community organizer and self-described progressive Democrat, Gutierrez previously worked as a high school teacher and University of Illinois teaching assistant and has received the endorsement of the Chicago Teachers Union. She is currently focusing full-time on her aldermanic campaign. The 30th Ward is predominantly Hispanic and includes the Northwest Side neighborhoods of Old Irving Park, Belmont Cragin, Belmont Central, Villa, Kilbourn Park and Portage Park. From 2000 to 2010, this ward saw a significant population decrease of nearly one quarter its residents.